The Atalaya Center is a magnificent building that presides over the sports complex of the Navarra Circuit. It is an excellent meeting point where both public and companies can have a wide range of recreational activities and public or private events. The Navarra Circuit facilities are completed by the Atalaya Center, a building with restaurant, bar and cafeteria, commercial area, convention Space, terrace with race views, children’s playground and car park. Apart from the possibility to be used for many types of activities, the Atalaya Center gives an extraordinary added value to any sporting or corporate events held at the Navarra Circuit. 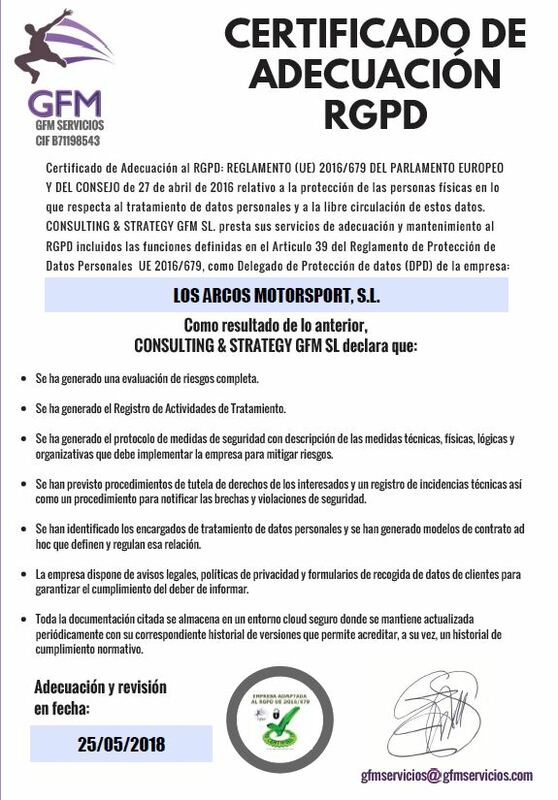 The companies have an exclusive working space available at the Navarra Circuit. The Atalaya Center has a main room of 295 m2, completely equipped with megaphony, projection system, plasm screen, lighting, and seats for more than 150 guests and design sofas. The room can be accessed directly from the catering and kitchen services of the building. The main gallery of the Atalaya Center has a spacious commercial area with 75m2 in shop format where the Navarra Circuit own merchandising items can be found. With incomparable views, the visitors of the Navarra Circuit can enjoy a wide variety of food, both inside the Atalaya Center as in the Presidential Terrace, with more than 100m2. A privileged space, open to everyone.